Priorities for research and routine feed analysis procedures that need to be implemented depend on cost to benefit ratios and the procedures available to measure sensitive variables. There is little value in developing more complex models for amino acid balancing until the first limiting factors can be accurately predicted. This was demonstrated when measured duodenal flows from 80 diets were not predicted as accurately with the dynamic, low level aggregation rumen model of Baldwin et al. (1987a,b,c) as with the CNCPS (Sauvant, 1991). Fox et al. (1995) conducted a sensitivity analysis to assess the relative importance of refining prediction of factors influencing ruminal fermentation (feed carbohydrate and protein fractions and their digestion rates, and microbial amino acid composition) and those influencing animal requirements (maintenance protein requirement, tissue amino acid composition, and metabolic transfer coefficients) in improving accuracy of predicting diet amino acid adequacy. Using variations in published values, a sensitivity analysis with the CNCPS was conducted to evaluate the change from the validation of Ainslie et al. (1993) in variation accounted for (r2) and bias (slope when the regression of predicted on observed average daily gain (ADG) was forced through the origin) in predicting ME, MP and essential amino acids (EAA) allowable ADG. for whole bacteria. It is clear that those factors influencing the prediction of microbial yield were the most critical in predicting EAA supply. A portion of the variation in reported values for bacterial composition can be attributed to differences in techniques used to isolate and measure their composition (Clark et al., 1992). Other data indicate that there are actual differences in bacterial composition, and large errors can result by assuming a constant composition (Clark et al., 1992). Thus a high research priority is to increase our ability to accurately predict both the extent and composition of microbial growth on a particular diet. The prediction of microbial yield and cell wall digestion is very sensitive to diet peNDF. However, at present the determination of this value is an inexact science at best. More research is needed to provide ways of quantifying in each situation peNDF values for feeds or develop an alternative way of relating feed chemical and physical characteristics to the prediction of rumen pH. The Rohr and Lebzien (1991) metabolic faecal nitrogen requirements gave similar results but the CSIRO value increased the bias due to a lower requirement. More work is needed to clearly define this requirement. Decreasing the body size decreased ME allowable ADG because of an increase in the predicted energy content of gain. Decreasing the body condition score increased the ME allowable ADG due to a decrease in the model predicted maintenance energy requirement and an increased efficiency of use of ME for growth. The EAA allowable ADG was reduced when the Rohr and Lebzien (1991) or Evans and Patterson (1985) tissue EAA composition values were used, because of their higher values. The use of the NRC (1985), INRA (1989) or Rohr and Lebzien (1991) fixed transfer coefficients for efficiency of use of absorbed protein all decreased the rz and increased the bias in predicting MP and EAA allowable ADG compared to the CNCPS model regression equation. These results indicate that the most sensitive animal factors are the EAA content of tissue and efficiency of use of absorbed protein, and that efficiency of use of absorbed protein changes with stage of growth. 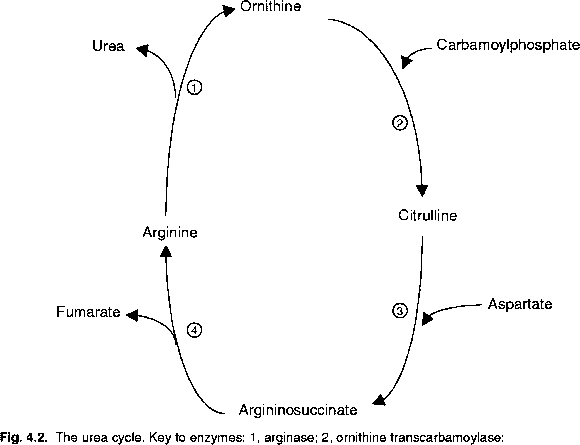 Lobley (1992) indicated that protein metabolism in ruminants is very dynamic, and a kinetic approach is needed to accurately predict amino acid requirements. Small changes in either the rate of synthesis or degradation can cause great alterations in the rate of gain and the relative maintenance requirement changes with level of production. Lobley (1992) indicated that a 500 kg steer with a net daily protein accretion of 150 g actually degrades and re-synthesizes at least another 2550 g. Thus balancing for daily net accretion accounts for only about 5.5% of the total daily protein synthesis. He concluded that the precision of kinetic methods is critical; a 2% change in synthesis rate would alter net protein accretion 20-40% and many of the procedures are not accurate within 4-5%. The CNCPS growth requirement validation of Tylutki et al. (1994) indicated the CNCPS more aggregated approach based on measured whole-body composition accounted for more of the variation with less bias in predicting energy and protein retained across a wide range in cattle types than did a lower level kinetic model. When combined with a system that has limitations in predicting absorbed amino acids from microbial and feed sources, errors could be greatly magnified with an inadequate mechanistic metabolism model. In all cases, the ME allowable ADG exceeded the MP or EAA allowable ADG, suggesting that the efficiency of use of absorbed energy was influenced by EAA sufficiency.